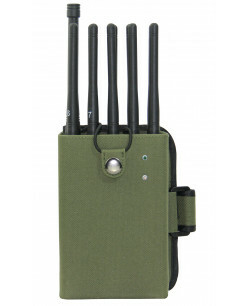 Alligator is an extremely powerful all frequencies jammer that is capable to disable 10 frequencies at the same time. 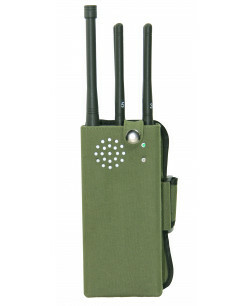 The working power of this device is 10Watt and the jamming range is usually between 10-30 meters. 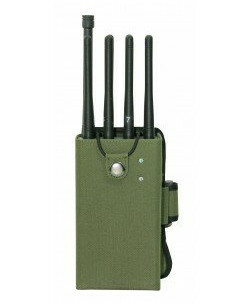 So Alligator is the most powerful handheld protection device on the market rig..
GM20 is a military jammer that is used by soldiers in the modern conflict zones to prevent injuries and deaths caused by explosions of Improvised Explosive Devices (IEDs) detonated from the distance. Yet in urban areas there is also a risk of terrorist attack with those IEDs used as remotely..
Not many people know that GSM frequency may be used by law enforcement agencies with many surveillance purposes. For example, they can get the private data from your cell phone with the help of mobile phone carrier. While they supposed to obtain a warrant for such procedure in fact they often do not do that, violating your privacy expectations in that way. Moreover, some law enforcements may wiretap your cell phone for eavesdropping of all your conversations. 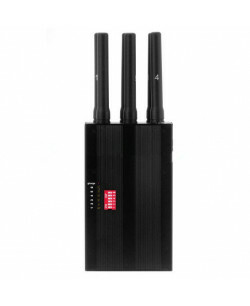 In this case you will definitely need a GSM blocker to block gsm signal. Yet those are not the only problems you might have. These days technology of cell phone tower triangulation is quickly spreading across mobile gadgets and tracking devices. This technology allows any tracking device to use three cell phone towers located closest to you to calculate your coordinates at the crossing of their working ranges. So law enforcement agencies can use this technology to find out where you are even if you have no GPS module in your smartphone or if they have not placed GPS tracking device under your car. 3G frequency can also pose a threat to your wireless security. With its help some hidden cameras stream video; people are getting access to the wireless internet in places, where according to security policies should be no wireless networks at all, and your smartphone might be probed in a manner like Trojan viruses probe PCs. So you can use devices from this category to protect yourself from all those threats.